Price's Distillery Road, Frederick Co - DAMN Riders - No rules, Just ride! +39° 18' 12.00", -77° 17' 10.80"
Not to quibble, but isn't the actual crossing in Frederick Co? John Go wrote: Not to quibble, but isn't the actual crossing in Frederick Co? Is it? If so, much better! I haven't been there myself. Yep. The ford is a couple of hundred yards to the west of the intersection of Hayes Rd. 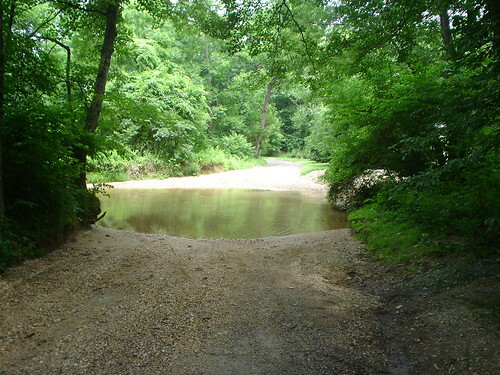 (also a nice gravel road) which is almost on the county line. Here's an old shot of the ford. And one giving an idea of the creek bottom. I thought the creek was the county line b/tw Frederick and Montgomery. Ran this one a few times yesterday. A couple was watching and thought I had lost my mind. I stumbled upon that creek once on my way home from work when I had my WeeStrom. 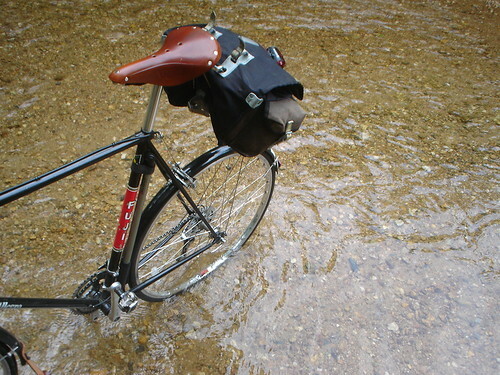 It was shortly after a rain and the water was about halfway up my boots...while my feet were on the pegs. At least the bottom is smooth and only mildly soft.